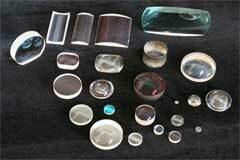 We offer many types and of high quality lenses. Convex, concave, Plano convex & concave as well both positive and negative meniscus lenses. 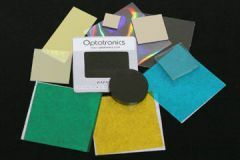 In a wide variety of shapes from round to rectangular or cylindrical and all at affordable prices. 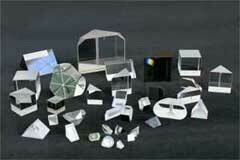 Our selection of high quality prisms and low pricing can't be beat. 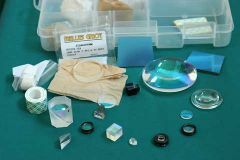 We carry many types and sizes including: beam splitters, equilateral and right angle prisms, dove, porro and porro-abbe prisms, deviation littrow and wedge prisms, penta prisms retroreflectors and more. Filters / Mirrors / Misc.